Apple is tightening its pants in the prospect of further competition which is heralded by the launch of Google Nexus 5 and upcoming launch of Moto g smart phone in India. 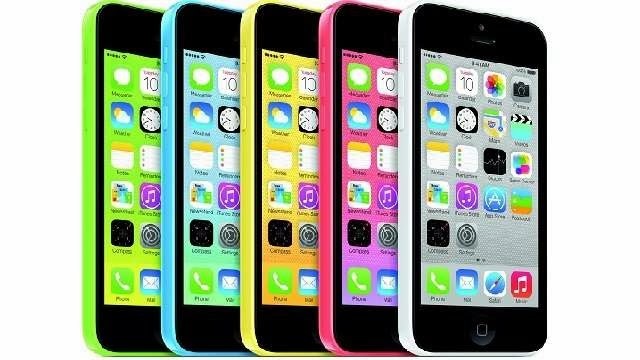 If you remember upto now Apple had been advertising a buyback scheme for buyers wishing to buy iPhone 5s or iPhone 5c but you could only exchange your old iPhones to avail the offer and the discount allowed is Rs.12000.00. As said above, due to the increasing competition from Samsung as well as our own Micromax and impending launches from LG and Motorola have made Apple rethink its buyback policy. And at the end of a brainstorming session the marketing strategists at Apple HQ are ready to unleash a new buyback scheme specially for India. Apple has already despatched the emails regarding this new scheme to its dealers. As per the new buyback scheme, the phones which will be allowed under exchange are BlackBerry Z10, Q10, iPhone 4 8GB, 16GB, Nokia Lumia 925, HTC Desire 500, Desire 600, One Mini, One Dual SIM, Samsung Galaxy Mega (5.8 and 6.3 inch both), S4 Mini, Galaxy S3, Galaxy S4, Galaxy Note 2, Note 3 and Sony's Xperia C, Xperia ZR, Xperia Z, Xperia Z1 and Xperia Ultra. The terms and conditions will include that the phone has to be in working condition and preferably with all accessories. Apple will give a maximum discount of up to Rs 13,000 in exchange of a any of the above smartphone. To give the dealers an incentive to push forward this scheme, they will earn a commission of Rs 2,000 per device under the scheme. In exchange for the above said phones you can buy a new iPhone 5c or iPhone 4s less Rs.13000.00. The only problem is who will want to buy a new iPhone 5c or 4s if they have any of working flagship phones listed above. I would not bet my life on exchanging my Samsung S 4 for a iPhone 5c or 4s for a paltry 13000.00 when I can get a good Rs.25K plus in the seconds market. Anyways, for your information, the 16GB, 32GB and 64GB variants of the iPhone 5s are priced at Rs 53,500, Rs 62,500 and Rs 71,500 respectively. The 16GB and 32GB iPhone 5c is priced at Rs 41,900 and Rs 53,500 respectively. After all the choice is yours.